In March of this year (2019) The Zombies are being inducted into the Rock and Roll Hall of Fame in a British invasion alongside Radiohead, The Cure and Roxy Music. On stage with Rod Argent, Hugh Grundy and Colin Blunstone will be Chris White; the man who co-produced and wrote more than half of the seminal Odessey & Oracle album, who composed (the now standard) This Will Be Our Year and who penned and produced the worldwide hit Hold Your Head Up for Argent. 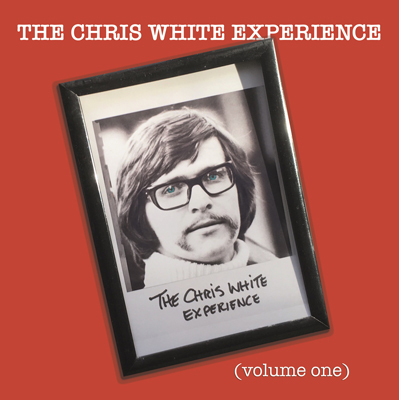 The Chris White Experience is an incredible collection of unreleased recordings from the last 40 years. Many of these songs have never been heard, which is exciting considering the quality of talent involved. Ranging from collaborations with Matthew Fisher (Procol Harum) and Tim Renwick (Pink Floyd, Eric Clapton) to performances from Colin Blunstone, Jim Rodford, Russ Ballard, John Verity, Rod Argent and many more; it is a joy to behold and a valuable (hitherto missing) historical document from one of the finest contributors to the British music scene. The Chris White Experience - Volume One features 13 tracks to showcase some of his remarkable songwriting, which is only just the start.